Sharp!! 2011 Jeep Wrangler Unlimited Rubicon 4WD with a 3-piece Freedom hard-top, AM/FM/CD/MP3 stereo and just 99k miles! This Wrangler is setup perfectly with custom wheels and tires, leather, power locks, Power windows, an excellent service history and a squeaky clean Carfax! Check out the 80+ photos of this Wrangler on our website at PuebloUsedCars.com. Whether you are navigating the urban jungle or a remote mountain trail this head-turning Jeep will take you there in style. In addition to the amazing options listed above this Rubicon also comes with the 3-piece Freedom hardtop, leather, factory lockers, AC, AM/FM/CD/MP3 Stereo, Cruise, Bluetooth, power windows and locks, and more! Wrap yourself in comfort and style and explore all the Colorado Rockies have to offer. Come down and see this 2011 Jeep Wrangler Unlimited Rubicon 4WD in person at Thompson Auto Sales - 525 W 5th St in Pueblo, CO. Please give us a call with any questions at 719-545-5421. We personally drive every vehicle and then we have each one fully serviced and inspected so you can be sure that the vehicle you choose will be ready for you to drive home. We strive to have at least 60 photos of each vehicle on our website at www.PuebloUsedCars.com so you can take a 'virtual" test-drive before you come see it in person. We encourage you to come see all of our quality cars, trucks, SUV's, and 4x4's in person at Thompson Auto Sales - 525 W 5th St in Pueblo, Colorado. We are just 2 minutes off I-25 in the heart of downtown Pueblo. Call us anytime at 719-545-5421 or email us at Sales@PuebloUsedCars.com with any questions! Thompson Auto Sales - Quality Used Cars, Trucks, SUV's, and 4x4's! Call Bill, Tim, or Dave with any questions! Thompson Auto Sales is located in downtown Pueblo, Colorado. We are just 2 minutes off I-25 and are an easy drive from anywhere on the Front Range. Thompson Auto Sales offers a great selection of quality used cars, trucks, and SUV's, competitive financing, and no-pressure sales. We have been serving Pueblo and the rest of Colorado for over 30 years. 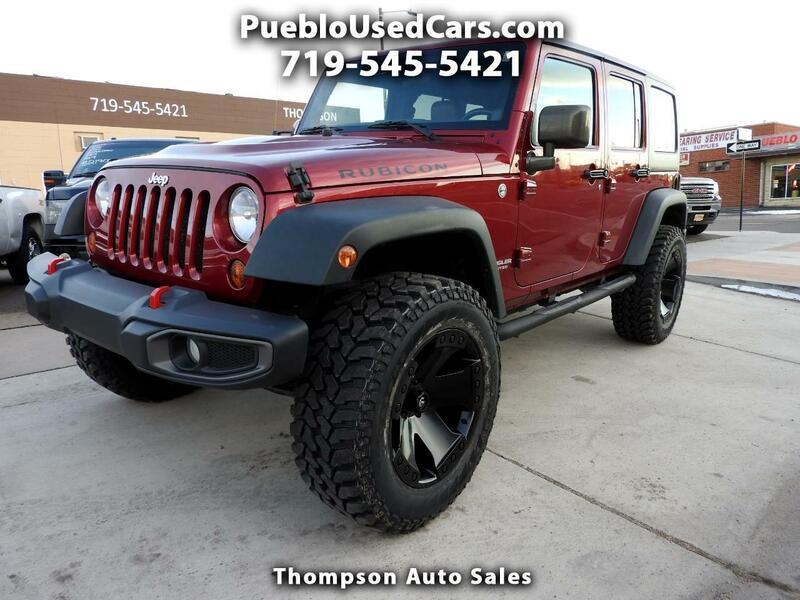 Visit Thompson Auto Sales online at www.PuebloUsedCars.com or come down and visit us in person at 525 W 5th St, Pueblo CO 81003 Please call us at 719-545-5421 or email us at Sales@PuebloUsedCars.com with any questions!